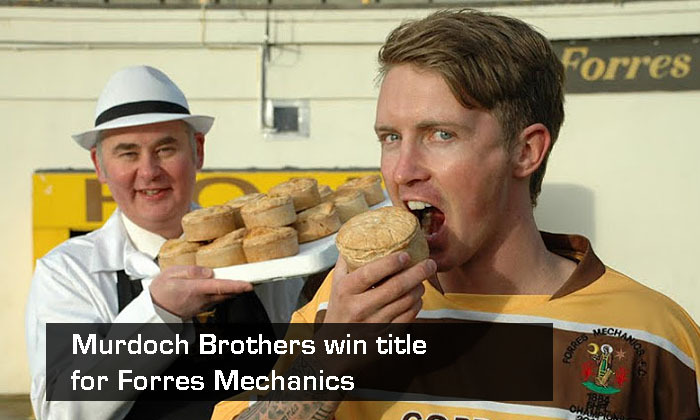 Congratulations to Murdoch Brothers in Forres for winning the title for the best pie available for supporters to buy at a Scottish football ground. 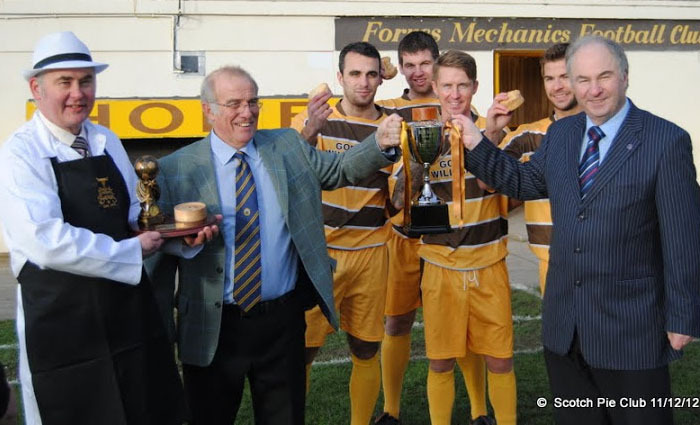 Forres Mechanics produced the quality on the pitch to win the 2011-12 Highland League but not that quality has been confirmed to the off the park quality as well.� The Mosset Park club pies have been judged the best in Scottish Football at the Scotch Pie Club Awards. "It is the first time that this award has been presented so to win it is an honour and a privilege. Hopefully it is the local bred beef that makes our pies a success, the steak in it is all prepared by ourselves. We use three suppliers in Elgin, Grantown and Inverurie; it is nice and tender with a nice gravy and a good shell - all are significant. their award as it is mine. things that can generate income for the area is all good and positive." state of the art bakery there is scope for plenty more. "We would be happy to supply other football clubs but we built the new factory so that we could handle more volume.� Greater turnover will generate more jobs and generally make sure that the company succeeds.